Every month we spend an evening scouring the pages of the latest issue of Previews and pick the ten titles we are looking forward to the most. This month it's the July issue which includes comics scheduled to ship in September 2016. Kenny J: Gerard Way's succession to Grant Morrison's writerly throne is complete. The well documented protégé of the Scottish one's trademark style of comics has made it to the spiritual home penning the very same book Grant did over twenty years ago. As part of DC's new ‘Young Animal’ imprint, with many more Way stories to follow, this is the part of Rebirth that really has me interested. The former My Chemical Romance frontman has already cut his teeth on the similarly toned created-owned Umbrella Academy and the albeit less-similar-but-equally-great True Lives Of The Fabulous Killjoys at Dark Horse. 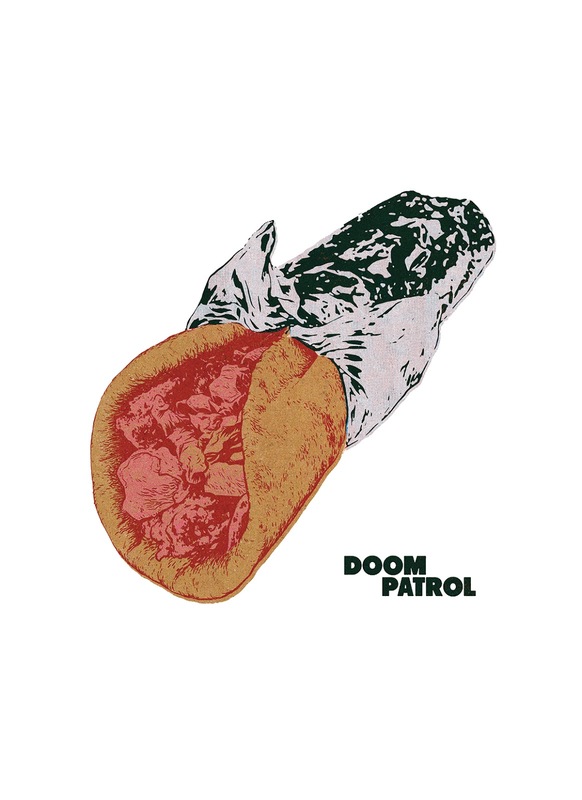 This new project should hopefully invoke some of what made those so much fun as well as shooting off into the more out there ideas that have made Robotman and the other weirdos that make up the Doom Patrol such fascinating characters in the past. James R: This is one of those picks where I simply don’t care about the story at this stage – the quality of the contributors makes it an automatic pick! Rick Remender is still one of the best writers in mainstream comics, and Jerome Opena was the perfect foil for his ideas in their outstanding run on Uncanny X-Force. The story follows a dying knight given the chance to save the world from the malevolent force that controls it, but it could be about meat refrigeration for all I care – Remender and Opena working together equals WIN! Simon M: Joshua Williamson has been writing two of my favourite current books (Nailbiter and Birthright) and come September he releases his next creator driven project. Frostbite is set in a future that has fallen into the second ice age. While the world has evolved and adapted, the extreme temperatures are not the pressing danger. There is a new contagion spreading in the form of the disease called Frostbite. This disease has no known cure and the effects are immediate, you are literally turned to ice as all the fluids within the body freeze. The only hope for the world’s survival falls into the hands of Keaton, a South American Woman and human trafficker, who has been given the task of transporting Dr Henry Bonham and his daughter Victoria from Mexico City to a secret government base on Alcatraz. This job should be no problem for a person with Keaton’s skillset, but it is not long before it’s clear that Dr Bonham has a bounty on his head, making this journey far from straightforward. 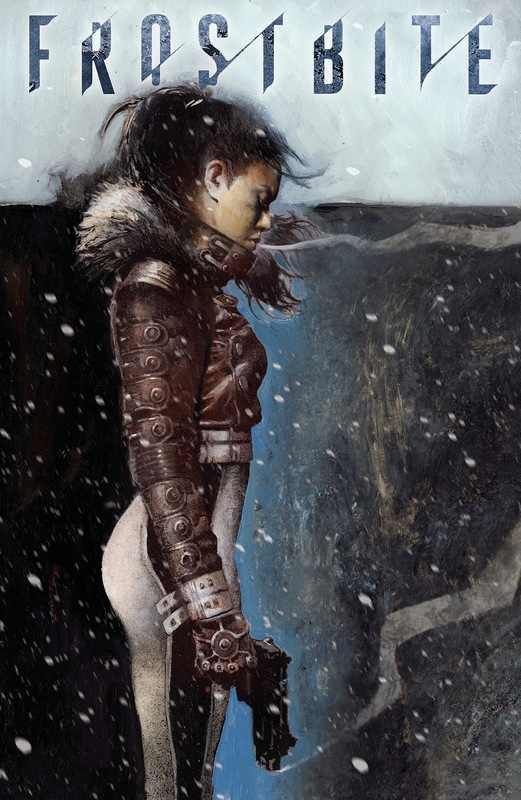 Jason Shawn Alexander is a very talented artist and I loved his work on Abe Sapien: The Drowning as well as Dead Irons for Dynamite Entertainment. The fact that Williamson has recently signed an exclusive deal for DC could prove to be a very shrewd move. Matt C: I’ve only really paid attention to Wonder Woman and Batman from the ‘Rebirth’ initiative, and that’s primarily down to the creative teams. I’m sort of dipping my toes back into the waters of the DC Universe after leaving it behind early on during the New 52, so my approach has been one of caution. Trinity gets a look due to – of course - the creative team, and it’s a creative team of, to all intents and purposes, one person (yeah, I know others are involved, but stay with me on this!). Francis Manapul’s work on Flash was one of the definite high points of the New 52 – he showed he had a good understanding of the Scarlet Speedster, which leads me to think he’ll get on okay with DC’s main trio (Superman, Batman and Wonder Woman) and his art is gorgeous and lively, perfectly suited to conveying the heroism of these characters. I’m not sure whether keeping the three involved in adventures together on an ongoing basis (alongside their Justice League and solo outings) is workable, but I shall certainly take a look with the hope that I’ll be proven wrong. James R: Back when I was at university, I remember reading that it was rumoured that in the darkest days of World War 2, British Intelligence approached Aleister Crowley with the intent of conjuring Black Magic spells to counter those employed by Hitler and the Third Reich. As Raiders Of The Lost Ark told us, Hitler was indeed a nut on the subject, and was known to use experts in the occult to boost the Third Reich’s war efforts. I always loved the idea, so when I saw this it was an automatic pick. The creative team is particularly fine too, with a script from comics writer and media theorist Douglas Rushkoff and illustrated by Powers artist Michael Avon Oeming. 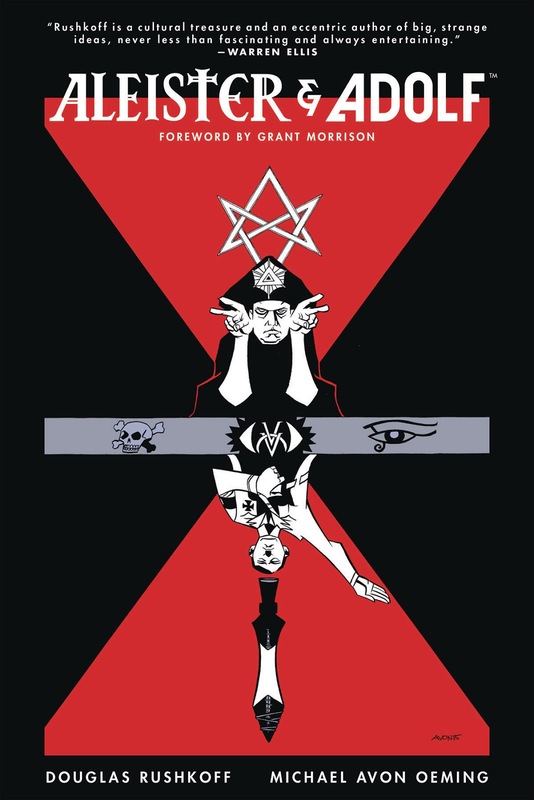 Aleister & Adolf promises us a look at the connections between Nazis and Magick, and I am entirely on board for this. Andy H: There aren't many self-published titles that make the century mark, so it's hats off to Broadsword Comics that Tarot #100 hits the selves in September. Issue #1 was released in March 2000 and hasn't missed a beat since, every issue shipping on time, for 16 years! In the face of stiff competition, that's a hard act to follow. It's fun, frivolous and a little bit naughty. It's got its fans and of course, it's knockers (yeah I went there), but Jim Balent and Holly G have an obvious love for the world of Wicca and embrace the darker aspects as Tarot and her strong supporting cast protect the world from mystical threats. Issue #100 brings to a climax the wedding of Tarot and Jon (the Skeleton Man) but all is not as it seems. Dark magick is afoot and the real Tarot is trapped in the fairie realm as a doppelganger replaces her at the altar. Will the day be saved, will Tarot bounce back? One hundred issues in and hardly a pause for breath as we enter the next era of comics’ biggest and boldest witch. Matt C: C.O.W.L. was a book you may have heard of but probably didn’t buy, because not enough people did buy it and it came to an abrupt end with issue #11 earlier this year, with much more untapped potential left in the premise. I won’t hold this against you though, as long as you promise to pick up this new limited series from the creative team behind C.O.W.L. 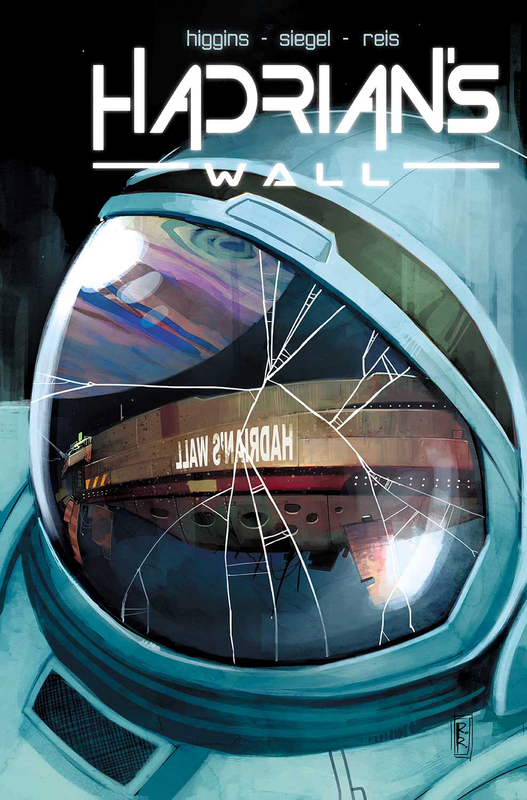 (Kyle Higgins, Alec Siegel, Rod Reis), called Hadrian’s Wall! It’s a science fiction murder mystery noir (I believe that is a legitimate genre! ), but really, based on their previous collaboration, they could put together a tale of cute bunnies and rainbows and I’d be suggesting everyone take a look. Don’t miss this. Simon M: The Strain - which started out as a series of novels by Guillermo del Toro and Chuck Hogan and was later a six volume comic book adaptation as well as a recent television series - is set to bring some original material back to the comic’s world with a prequel miniseries. One of the more interesting characters, Mister Quinlan, is going to get an origin story. Mister Quinlan is half vampire, sired by the Master, and raised in the brutal environment of ancient Rome’s gladiatorial pits. He is on a mission to destroy the Master, but soon the hunter becomes the hunted. This will be an excellent opportunity to shed some light on a fan favourite character and if it’s up to the standards of the previous volumes will be a pleasure to read. The book will be in the safe hands of Lapham, who has delivered all of the previous volumes of The Strain, so no reason to believe this will be any different. The art team I’m not too familiar with, but the available preview art looks impressive. Looks like we could be getting an early Halloween treat. 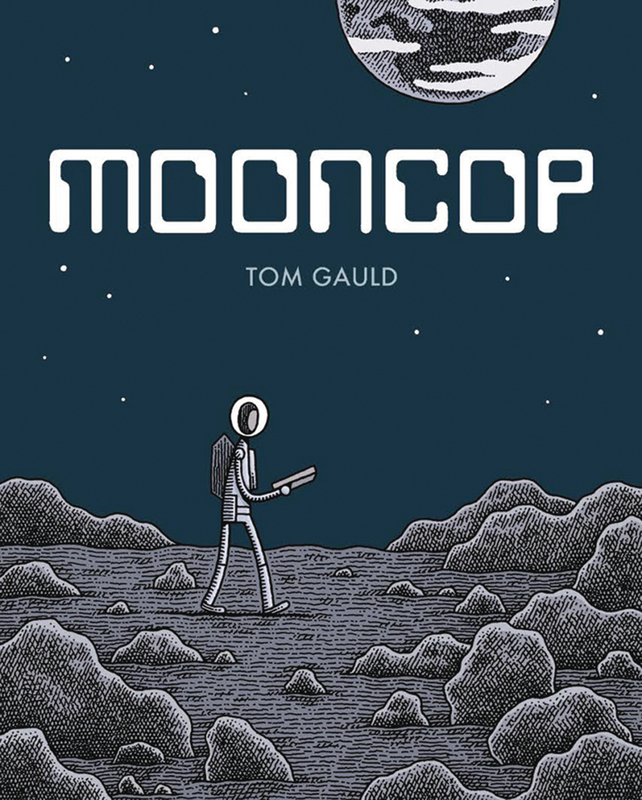 James R: Tom Gauld is a brilliant cartoonist who combines a razor-sharp sense of humour with an obvious literary knowledge. He’s done great work for both The Guardian and New Scientist magazine, and September sees him release of a new graphic novel. 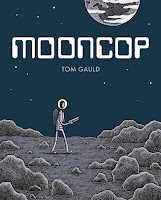 The sample pages of Mooncop that came out as part of this year’s Free Comic Book Day were fantastic, portraying a future moon that had been populated, but subsequently abandoned, leaving just a few hardy souls. Those pages were rich with melancholy and Gauld’s trademark wit, and I’ve got no doubt this will be one of the highlights of the year. Kenny J: There has been a question hanging over the long running series from Keron Gillen and Jamie Mcelvie since its very beginning. If the current group of ragtag pop culture gods are only the very recent and shortlived iteration of the Pathenon then what happened to those that went before? Well, with The Wicked + The Divine 1831 we get an answer about at least one of these eras. This one-shot will take us away from the grubby streets of modern day London and spirits us away to one fateful night on the shores of Lake Geneva in 1816 and not 1831 as the title suggests. Those more versed in history and literature will realise this is where some of that centuries rock stars met, most notably creating Frankenstein in the process. How this real life event will play into the myth of the Pathenon and The Wicked + The Divine as a whole remains to be seen but for me it's a really interesting concept.